Available in Spider Version 201303.06.XXXX and above. 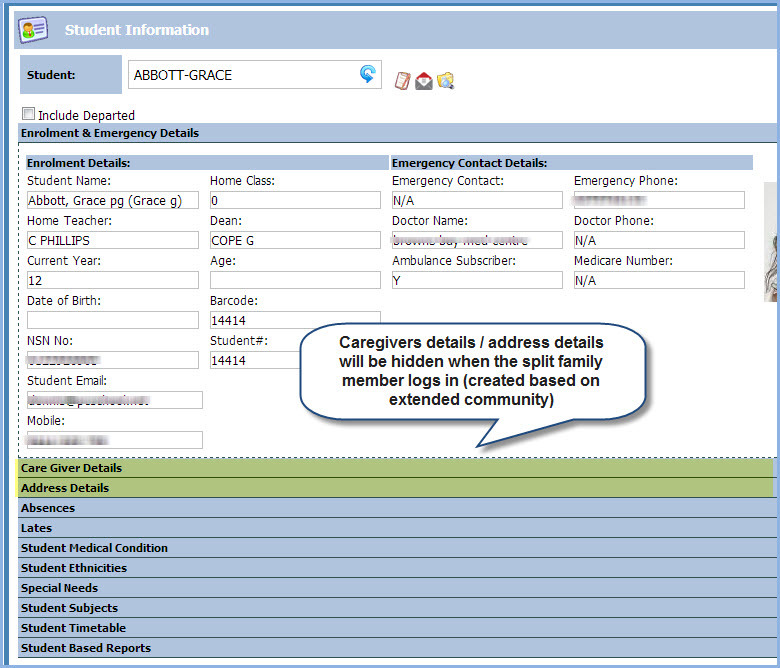 PCSchool Spider login and display is now sensitive to Split Families and will now not show the address details for a student to the ‘split’ care giver. This entry was posted in Security, Spider and tagged Classroom Management, school administration software, School Administration System, School Management Software, School Management System, school software, Student Information System, student management Software, Student Management System, web spider by studentmanagementsoftware. Bookmark the permalink.